Time for the Friday Face-Off meme, created by Books by Proxy, with weekly topics hosted by Lynn’s Book Blog. The idea is to put up different covers for one book, and select a favorite. 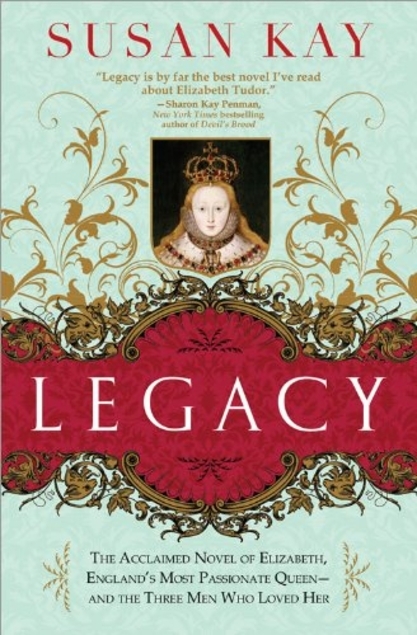 The first novel that came to mind seemed fitting, since it’s about Elizabeth I, the source for this week’s quote: Legacy by Susan Kay, about the life of Elizabeth I. 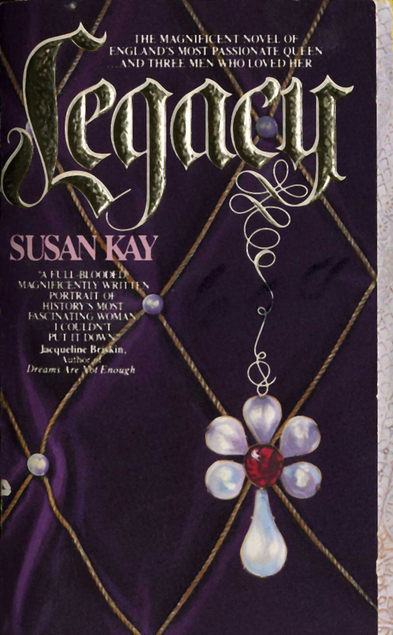 This author is better known (I think) for her Phantom novel, referred to always as Susan Kay’s Phantom, and one my absolute favorite books. I mean, we’re talking top 5 here. Legacy, though in some ways similar (a sweeping exploration of one person’s life, through the points of view of different people surrounding them) is…well, not an absolute favorite. Too much politicking! But still a good read, with a few different covers. This one is my favorite–I like Elizabeth strong in the foreground, definitely in Tudor clothes but still looking human. 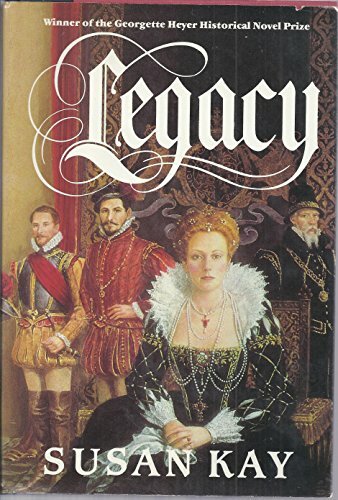 And there are three men who play the most important roles in the story, so I like that they all made the cover, but appropriately as a background to Elizabeth herself. Do you have a favorite Tudor-era book? I have to admit the second cover is actually my favourite 😉 I understand what you mean about the portrait, but that is a real portrait of her so they can’t really help what she’s wearing. A book I really enjoyed set in the Tudor period is The Sisters of Treason by Elizabeth Fremantle. The first 2 covers would not have caught my eye. The last one is definitely best!